Travel to Bora Bora in the ultimate luxury when you charter a jet with Stratos Jet charters. Stratos Jets can have you on a private jet to Bora Bora within just four hour's notice. Our team of knowledgeable aviation consultants are committed to providing clients with a hassle free private flight planning process, while ensuring all of our clients' needs are met. A Stratos Jets aviation consultant will go above and beyond to ensure your private jet charter is coordinated to your specifications on a safe and reliable private aircraft.Although the island is small in both land area and population, Bora Bora is a major international tourist destination that attracts visitors with its fantastic year-round weather and world-class resorts. 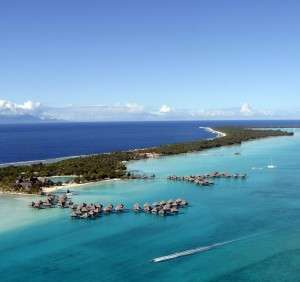 In Bora Bora, try snorkeling or scuba diving and rent jet skis to race around in the waves. For adventure seekers, swim with gorgeous exotic sea life in the Coral Gardens or hike the trails of Matira Beach. For a truly unique and unforgettable experience in Bora Bora, book a ride on the Bora Bora Submarine. If you'd rather lounge the day away, the island offers up ample opportunity for that. Grab a cocktail at your resort's poolside bar and head toward the umbrellas on the beach.In Bora Bora, you won't want to miss Bloody Mary's, which offers a truly authentic Bora Bora dining experience. Between the thatched roof and natural sandy floors you'll find an array of exotic plants and choose from an island-inspired menu with everything from seafood to steak and much more. For an upscale dining experience, Villa Mahana's French chef Damien Rinaldi fuses Polynesian and Mediterranean cuisine for innovative dishes that are sure to delight. Gourmet bistro Le Matira Beach Restaurant is casual yet romantic and is perfect for lunch with a view or cocktails before dinner.Charter a private jet to Bora Bora and benefit from flexible scheduling and departure locations, the exclusivity of your own private jet cabin, and enhanced entertainment capabilities. Also design your own meals through our Stratos Jets catering menu, or request extra cargo space for additional luggage. Avoid lengthy security and baggage claim lines, while benefitting from increased personal security. Stratos Jets has access to over 5,000 available private aircraft and one of our dedicated agents will pair you with the perfect private plane for your Bora Bora private jet charter. 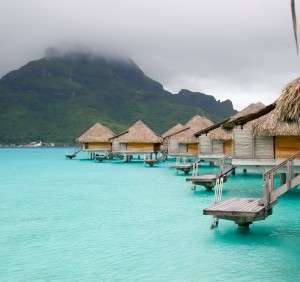 We can accommodate both private jet charters and large group charter flights to Bora Bora. Client safety is a top priority at Stratos Jets and we work with only Part 135 and Part 121/380 air carriers for Bora Bora charter flights. Our in-house due diligence safety program allows us to carefully screen all aircraft operators to avoid errors and ensure well-maintained aircraft and highly-trained pilots are at work for you. Prior to the coordination of your charter flight to Bora Bora, Stratos Jets confirms that our aircraft operator and air charter aircraft meet the standards proposed by the Federal Aviation Administration. A third-party safety audit is provided on every charter flight arranged for our clients.Fly safely and conveniently into Motu-Mute/Bora Bora (NTTB) airport and have a fantastic vacation in Bora Bora!